When it comes to establishing early credibility and rapport with a potential investor, it’s not enough to do the right things. Entrepreneurs also need to NOT do the wrong things. With investors, there’s no recovery from a bad first date. 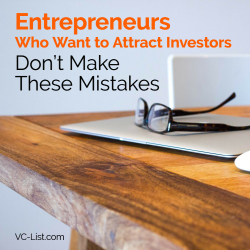 Here are seven of the worst mistakes that an entrepreneur can make with investors and what to do instead. 1. Trying to raise seed stage investment from a later stage VC. Target investors who have a track record of investing in businesses at similar stages to yours in amounts comparable to the capital you need. Investigate an investor’s web site. 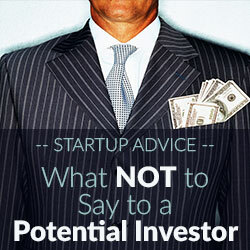 Most will state their sweet spot and list portfolio companies. Talk to founders of the investor’s portfolio companies about their experience—before and after the investment. 2. Expecting too much, too fast, too soon. 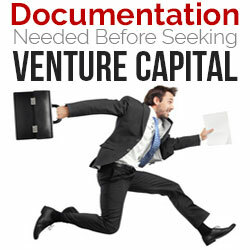 Starting a company is a ground game; leave the Hail Mary passes to someone else. Making the contacts and developing beneficial relationships with potential investors is slow, patient work that can span months or even years. Entrepreneurs who achieve milestones get investors’ attention, and that takes time. An entrepreneur will make dozens of presentations before receiving an invitation to due diligence. Even with standardized documents and mutual trust, reaching agreement on terms and valuing the company will take weeks, not days. Angels and VCs who invest in startups tend to invest close to home. Use your network, social and professional, to become known to investors in your community and region before you are ready to raise funds. The entrepreneur’s number one job is to preserve capital while accomplishing the milestones that de-risk the company and lead to scale. Know the company’s cash position at all times. Hold fixed costs to a minimum. Delay capital expense. Bootstrap—paying as you go with revenue. In a startup resources will always be scarce. There will never be enough time or money to accomplish everything in your business plan. Negotiate a dollar’s value out of every dime. 4. Turning homework in late, or not doing it at all. Documentation. Paperwork. Like it or not, reporting and record-keeping is a vital part of starting a high-growth company. 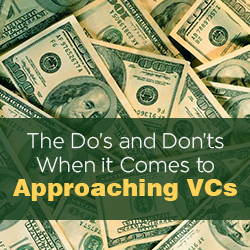 If you plan to raise equity capital, you need to also plan for due diligence. A huge part of due diligence is examining documents and contracts of every ilk—founding documents, cap tables, employment agreements, client contracts, intellectual property documents, licensing agreements, leases, non-disclosures, and more. A startup may not need (or be able to afford) a virtual data room, but every entrepreneur needs to create a secure digital place to house any and every document the company signs. 5. A Clash of the Egos. Investors and entrepreneurs are confident people. Energized and aggressive, both know what they know, and may or may not know what they don’t know. 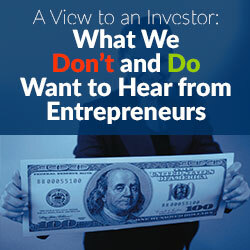 One thing is certain, the entrepreneur is the one doing the asking, and investors hold the cards. Successful entrepreneurs remain coachable. There is nothing to be gained and everything to lose when an entrepreneur allows his or her ego to run amok. This isn’t to say that entrepreneurs have to be punching bags. Compose and practice a balanced and respectful response so that when someone else goes on an ego trip, you bring the conversation back to ground. And no matter how eager you are to raise capital, remember, an investor’s behavior before a deal is struck is an indication of how the person will interact when they serve on your board. 6. Telling anything BUT the truth, the whole truth, and nothing but the truth. Act and speak with complete integrity every day and in every way. Protect confidences appropriately, but never lie or shade the truth. Don’t conceal prior problems—from speeding tickets to divorce to defaults on college loans to bankruptcy or arrests—from investors. Use your attorney, CPA, and CFO as your backstop on all legal and financial matters. Never make decisions in these areas without seeking and listening to their advice. 7. Being too techy, too salesy, too anything. It’s all about balance. In the early days of a new company, an entrepreneur wears many hats and plays all the parts. As a company delivers product and signs up customers, that same entrepreneur who started it all is called on to evolve into a 360-thinking CEO who can balance the tradeoffs of a maturing P&L and navigate complex relationships with current and future investors as well as the Board. The opportunities to go wrong may seem plentiful, but the good news is that with the right preparation and mindset, every entrepreneur can avoid self-sabotage. Forewarned is forearmed.